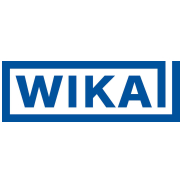 WIKA Alexander Wiegand SE & Co. KG is a renowned partner and competent specialist for pressure, temperature, level and flow measurement. As an international family-owned company with annual sales of €834 million, we seek to maintain our leading position on the world market. Our success is backed today by a global payroll staff of 9,300 highly skilled and motivated individuals who constitute the basis for our continuing success.